We are proud to announce the release of Showkase 1.4.0. Showkase is our one-stop solution to create an entire image gallery portfolio website with no coding required. Showkase sites are designed to look great on desktop and mobile devices. 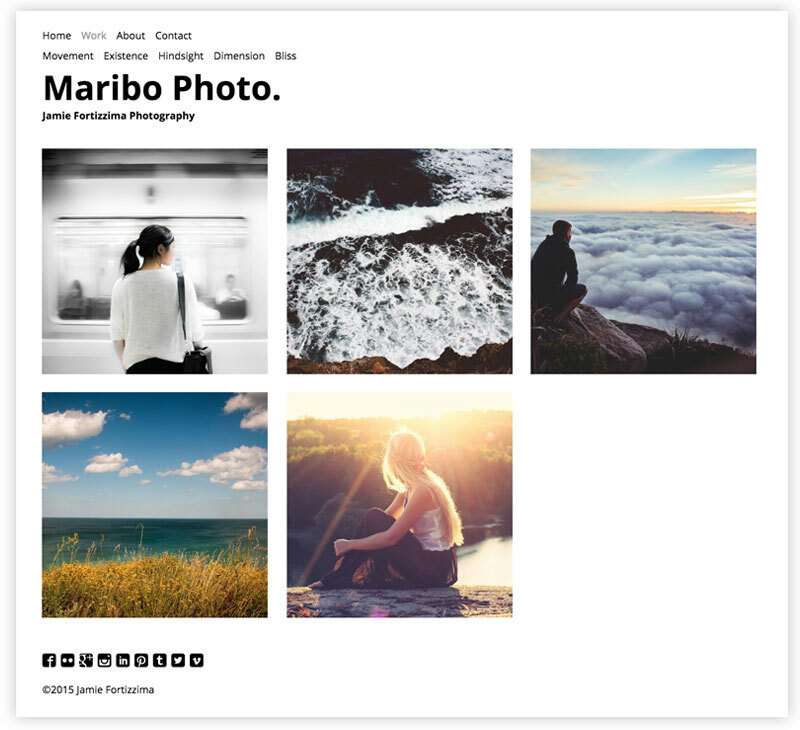 Showkase 1.4.0 includes a brand new theme – Maribo. Maribo is a clean, minimalist theme using Open Sans from Google Fonts with large type sizes and an open layout. Check out the Maribo demo site. Showkase 1.4.0 includes a much requested Contact Form feature. This allows site visitors to submit inquiries in the website rather than publishing a personal email address. All themes now get optional social media icon options for footers. This allows easy linking to Twitter, Tumblr, Instagram, Flickr, Facebook, Google Plus, LinkedIn, Pinterest and Vimeo. 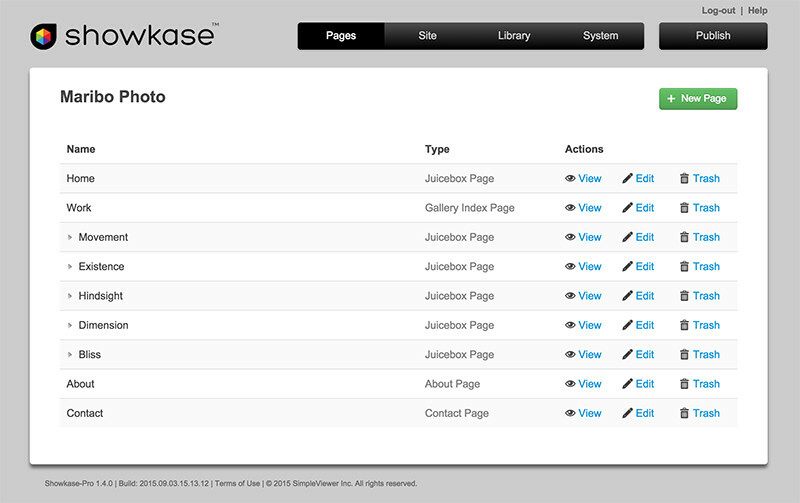 The Showkase Admin UI has been updated, including Pages, Library and Theme screen improvements, and more helpful messaging. We also updated all the built-in 3rd party software for image uploaders, HTML editors etc. As always, Showkase upgrades are free within the same major version number. Check here for upgrade information. Please report any issues in the support forum. We recommend you download this upgrade right away. If you have been holding off on purchasing Showkase, now is a great time to try it out, using our 30 day money back guarantee. XLM cannot be found. Is there anyone who can help step-by-step? Is there an alternative application I can download to correct this problem? © 2014 Juicebox. All rights reserved.